Lawyer; notary public; member of Hanoi Bar Association; member of the Vietnam Lawyers Association; commissioner of the Profession Council; delegate of the People’s Council/ commissioner of the Country Front Committee (2004-2012); Chief of Legal support of HIV/AIDS- Policy and Legal Consulting Center on Health and HIV/AIDS of the Vietnam Lawyers Association. Former Founder/ Chief of professional of Cong Minh Debt Collection (the first debt collection company in the north area); Former Chief of branch of Dang Khoa Lawyer office in Hanoi. Experience: 14 years in legal practice as a lawyer in litigation and debt collection service. Lawyer; member of Hanoi Bar Association; member of the Vietnam Lawyers Association; commissioner of the Profession Council. Former of ADI enterprise support and consulting JSC. Experience: over 10 years in legal practice and corporation support service. Her main areas of expertise are foreign investment, real estate, labour disputes, general corporate and commercial works. She was the Legal Counsel in Khattarwong Vietnam in Ho Chi Minh from July 2008 to end of Septemeber 2010. 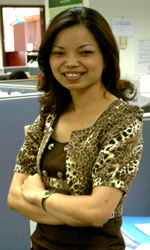 In 2007, she was the legal expert for CDMA Mobile Phone Centre in Hanoi in 2007. She had practiced her career in the Nothern lawyer office in Hanoi since 2001. Lawyer Nhung also had associated with Radio the Voice of Vietnam since 2003 in legal consultation program since 2003 to present: receive and work on letters of listeners in Vietnam, report and consult via the VOV. 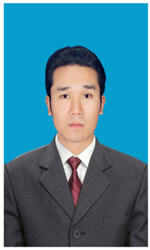 Member of Hanoi Bar Association; member of the Vietnam Lawyers Association; commissioner of Profession Council. Former of captain, deputy Chief of criminal department of Ministry of Defence. Experience: over 30 years in legal practice. Lawyer, engineer in construction; member of Hanoi Bar Association; member of the Vietnam Lawyers Association; commissioner of the Profession Council; member of the germany engineer association (VDI). Former of manager of Hanoi Construction General Corporation. Experience: near 15 career practiced years in Vietnam and Germany of United State. Former of senior Officer of the Hanoi Police. Experience: over 35 years in investigation practice. Member of Hanoi Bar Association; member of the Vietnam Lawyers Association; commissioner of the Profession Council; Director of Tri Viet pharmacy company. Experience: over 15 years in legal and IP pratice and IP. Former of Arbitrator of State economic Arbitration of Hanoi. Former of judge of the people’s court of Hanoi. Experience: over 30 years in trial. 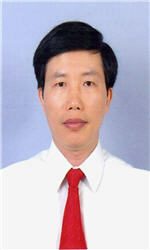 Member of the Vietnam Lawyers Association; commissioner of the Profession Council. Experience: over 12 years in debt collection practice and litigation. Member of the Vietnam Lawyers Association; commissioner of the Profession Council; advisor in media; reporter of the Court Magazine. Experience: over 10 years in reporting of the Court Magazine. Member of Hanoi Bar Association; member of the Vietnam Lawyers Association; commissioner of the Profession Council. 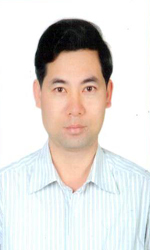 Vice director of Viet trading and information provided service company (VDT detective). Experience: over 15 years in legal practice. Chief of HIV/AIDS consulting and supporting Department. Experience: 16 years in legal practice. Experience: over 28 years in legal practice. 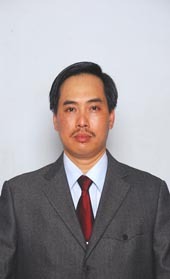 Chief of debt and dispute resolve; member of the Vietnam Lawyers Association; commissioner of Profession Council. Experience: over 10 years in debt and dispute resolve practice. Chief of legal consulting of 18001521- Policy and Legal Consulting Center on Health and HIV/AIDS of The Vietnam Lawyers Association. Chief of Charitable Operation Committee. Experience: over 12 years in legal practice. Founded in 2007 in Milan, Italy by Mr. Salvatore Vaglica. Its major scopes are to promote economic and business relations between Europe and the South East Asia markets based on the principle of reciprocal benefits. To be a collaboration of italian professionals who have gained the experiences in their fileds of expertise in terms of strict and through assistance in criminal law and administration in particular as regards the right of those in commercial and corporate law, insurance, banking, industrial, contractual, tax and bankruptcy.